Using conversational interviews with up to 100 new vendors, students will discuss and document the information new farmers and other vendors need in order to directly market their products. 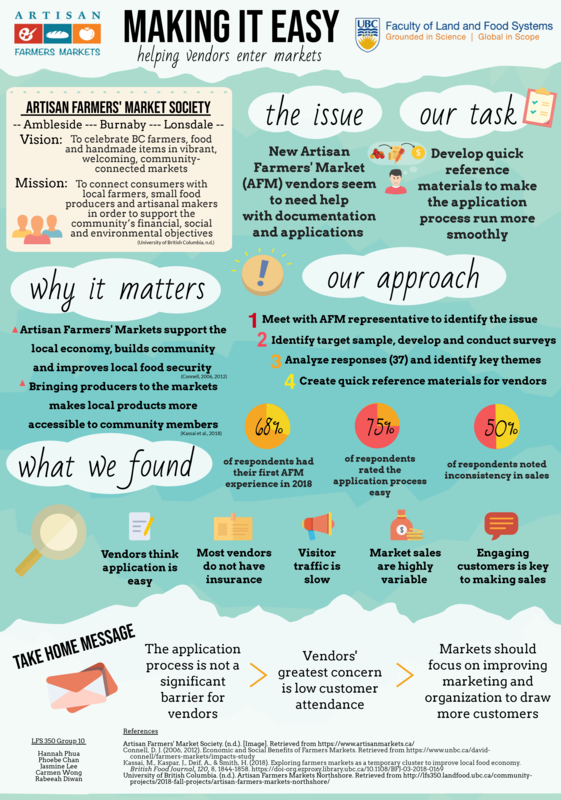 Artisan Farmers’ Markets wants to develop a FAQ listing answers to frequently asked questions of brand new vendors. This list will be shared on the internet to help guide new business owners through the many steps to successfully sell their products in the Metro Vancouver area. The farmers and small business owners who sell at Artisan Farmers’ Markets in North and West Vancouver often sell at a number of different farmers’ markets in Metro Vancouver. Some markets are considered more of a training ground for new vendors and other markets are considered to be more for established businesses. For example, vendors may also apply to sell at Abbotsford, Burnaby, Vancouver, White Rock, Coquitlam, Langley and more. 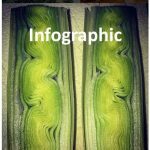 The goal of the project is to develop a FAQ for new vendors. The scope of the FAQ will address new business regulatory requirements, equipment, and marketing best practices. Having this information from this year’s new vendors will ease the intake for next year’s new vendors – saving time for both the business owners and the non-profit farmers’ market. Conversations with farmers and other vendors will need to take place on market days. On-site discussions, flexible with the students’ schedules, can occur through to the end of October on Saturdays at Lonsdale Quay and Sundays at Ambleside Park, between 9:30AM and 3:30PM. Students will then spend one full day volunteering at a market, ideally Saturday Sep 22 or Sunday Sep 23, to meet the market managers, vendors and talk about a day-in-the-life of a new farmer or small food producer.